I really do not need anymore lip balms. I already have 8 (and possibly a few more lying around that I have forgotten about) and I think that’s more than enough for just one set of lips! 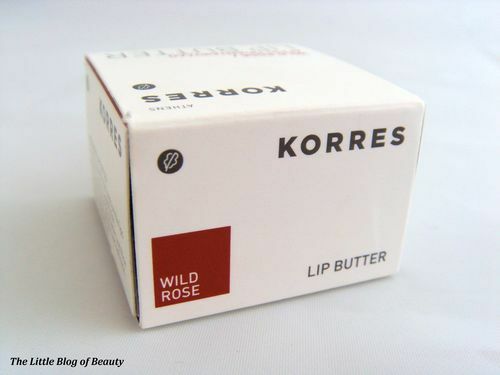 However, I have seen the Korres lip butters pop up on several blogs and for whatever reason I just wanted one, badly. I popped into Waitrose last week while I was killing some time waiting for my boyfriend to finish at the hospital and of course I wandered down to the beauty section to see what they had. 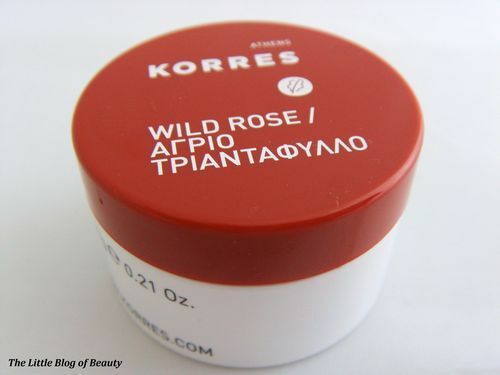 When I reached what I already knew would be a selection of very tempting displays I discovered that Waitrose stocks Korres products and for even more temptation they had a third off. I can’t remember how much it was exactly (about £4.60ish) but I had the change in my purse so I thought why not. Just look at the perfect surface on the butter, I didn’t want to stick my finger in it and ruin it (obviously I have now though, I didn’t buy it just to stare appreciatively at it)! 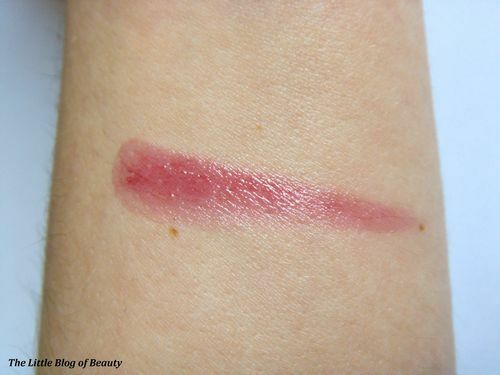 When I was lusting after this I was having trouble deciding which of the darker colours (Mango, Pomegranate, Quince & Wild Rose) I would go for if I bought one. But as the only shades they had were Jasmine and Wild Rose, the decision was made for me. 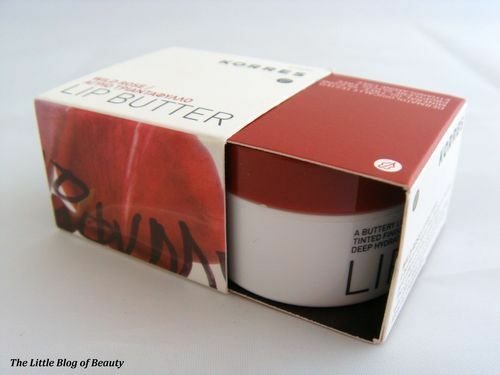 I’ve not actually tried a lip butter before (do any other brands do lip butters or are they normally just balm’s?) but this is really nice. 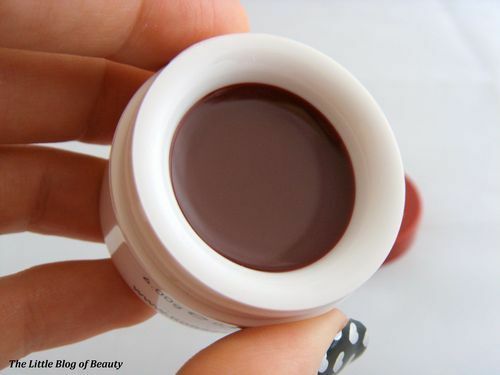 It looks quite ‘solid’ in the pot but it melts beneath your finger so you don’t have to rub too much to soften it or ‘dig’ it out. 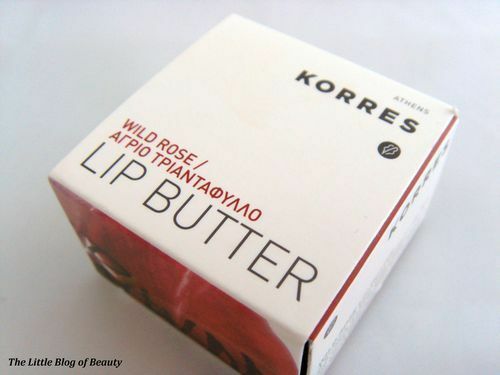 It’s thicker than a balm but not so thick that it’s gloopy and difficult to use and it applies smoothly across your lips. 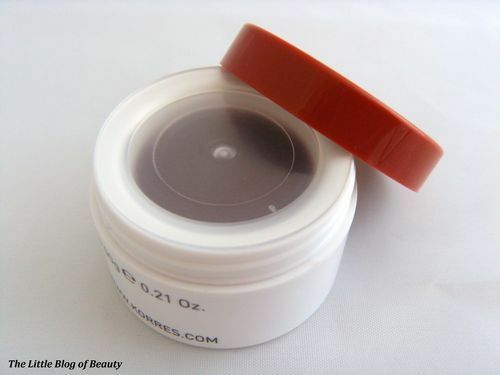 As it is thicker than a balm it is just slightly sticky but not annoyingly so. 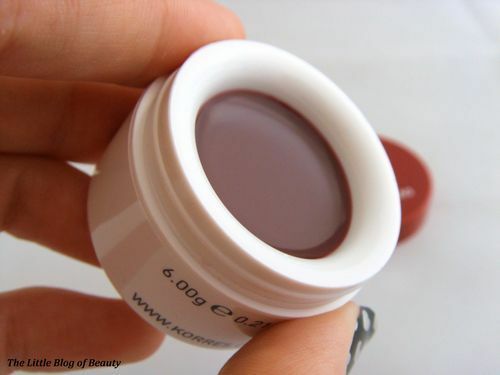 This is a lovely dark rose colour but once on my lips it’s quite subtle, just a tint of colour. This is a product for dry chapped lips so I would expect to be applying frequently if my lips need it but I was quite surprised that after a couple of hours it hadn’t disappeared. Thanks to the weather warming up my lips are fine at the moment but if they were dry and sore this would feel amazing on them. 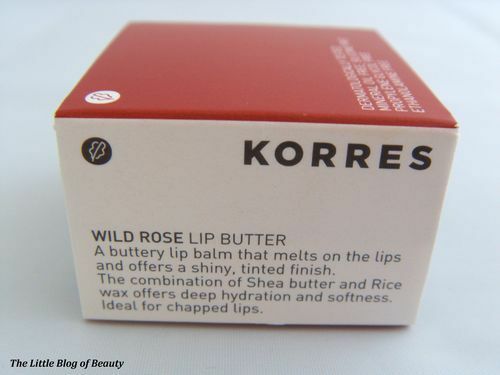 Korres lip butters are available from a range of stores and websites including Asos, Feel Unique and the Birchbox shop and I have seen prices range from £6 to £8.